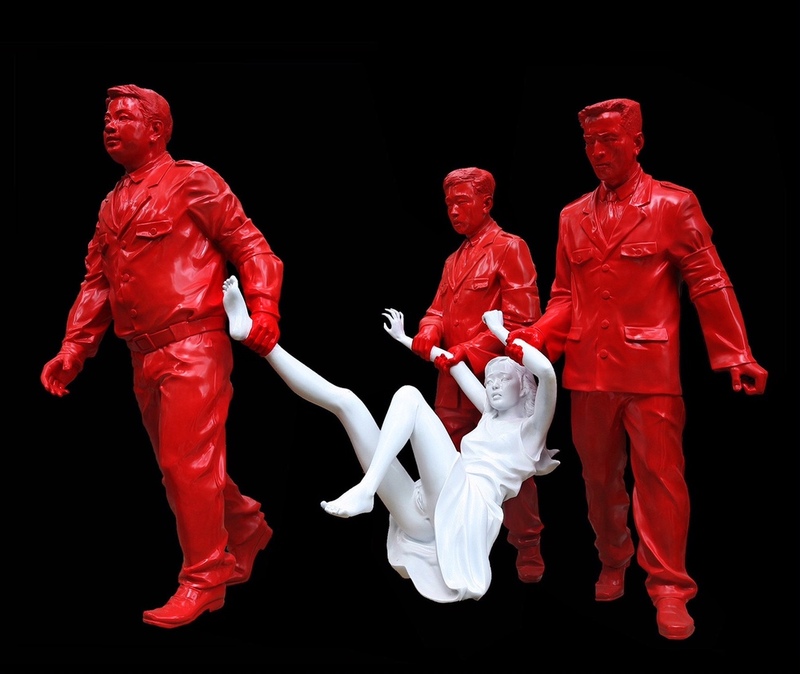 The Gao Brothers are a pair of artist brothers based in Beijing. They have been collaborating on installation, performance, sculpture, photography works and writing since the mid 1980s. Some of their works were published in "A History Of China Modern Art", "China Avant-garde Photography", "The Best Photography of China" etc. and held in private and museums collections, including the Steven Cohen -, Uli Sigg - and Charles Saatchi private collection as well as the collections of the China National Museum, Centre Georges Pompidou, The San Francisco Museum of Modern Art, Montreal Museum of Fine Arts, Princeton University Art Museum, Kemper Museum of Contemporary Art and many others in China and across the world. The Miserable Prostitutes: Gao Brothers Painting and Sculpture Exhibition, Gao Brothers Center For Contemporary Art, Beijing, China. Trope of Body: Gao Brothers Photography Exhibition, Beijing New Art Projects, Beijing, China. Made in Beijing: China Contemporary Art, Modern Art Museum of Hongik University, Seoul,Korea. Placed in China, Walsh Gallery, Chicago, USA. Family? ContemporaryArt Project, Yuexing International Furniture Center, Shanghai,China. Man and Animal, performance show, Beijing,China.